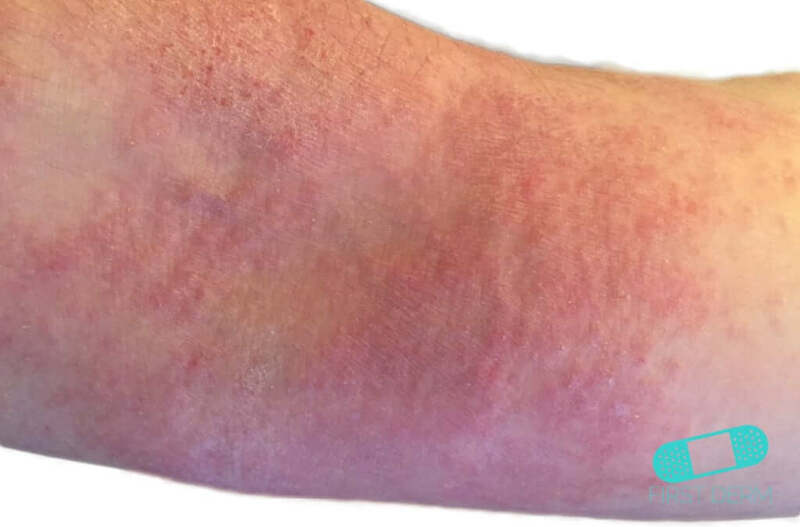 Atopic eczema can be caused by sensitivity to certain food, such as dairy products, eggs or fish. 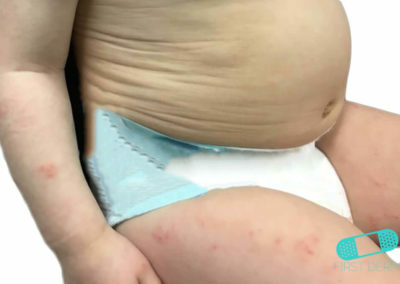 Infants with food allergies often have hives in the eczema. 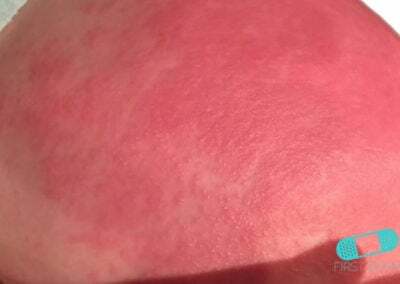 The child also may also experience atopic symptoms from the respiratory system (asthma) and stomach discomfort. 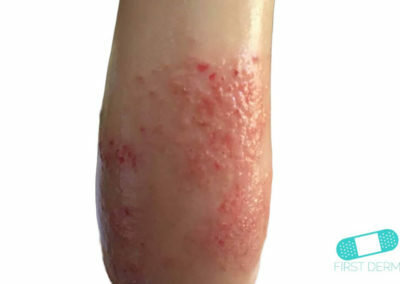 While an allergy or hypersensitivity reaction can cause atopic eczema, the origin of the eczema is usually unclear.The initial skin irritation can also be triggered by chemical substances or physiological challenges to the skin, such as contact with hot tub water or with a rough surface. 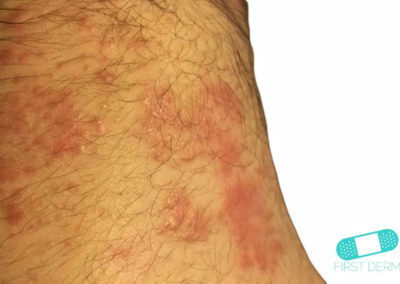 Heredity and climate could also cause eczema. 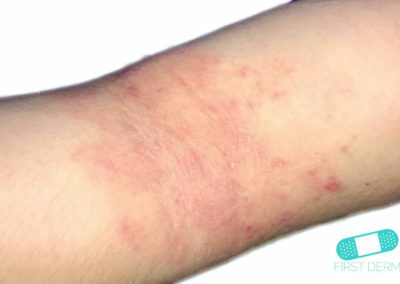 Atopic eczema is sometimes called infantile eczema in children. Many children outgrow these symptoms between the age of one and two, but then develop an itchy eczema instead in some regions, such as arm and knees. 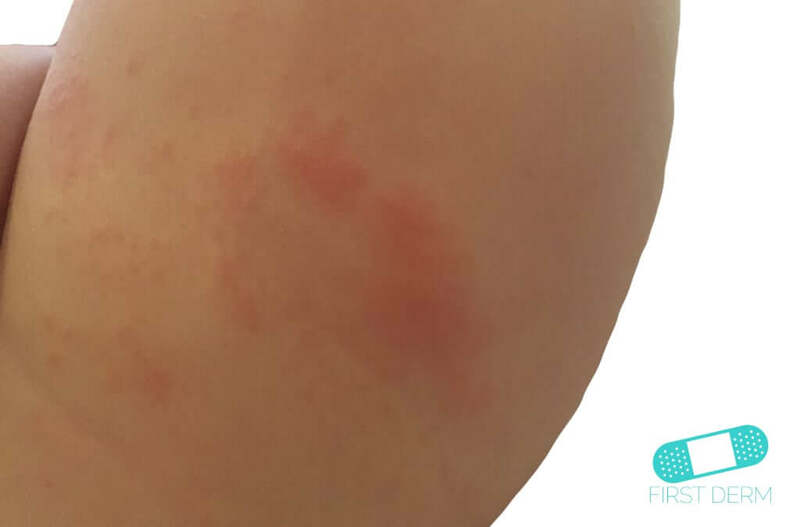 Red, thickened, itchy patches on the skin are symptoms of atopic eczema. It usually appears when the child is around one year’s old. 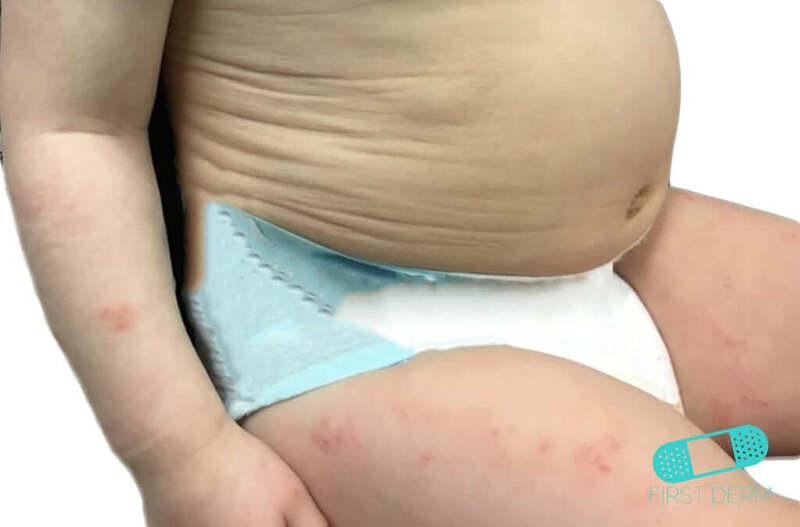 The rash usually starts on the cheeks, and then spread to the neck, chest, stomach or diaper area. 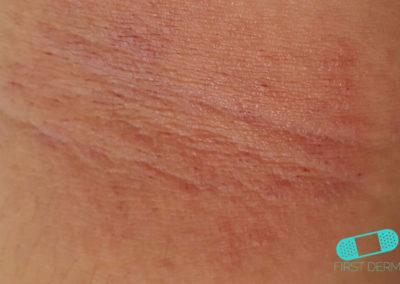 Even though young children cannot scratch the affected area, itching could cause loss of sleep or frustration. 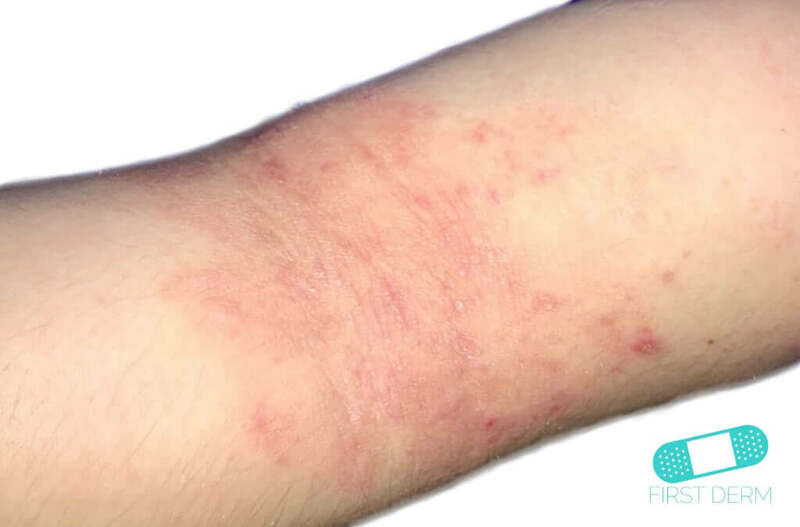 It takes time to treat eczema. 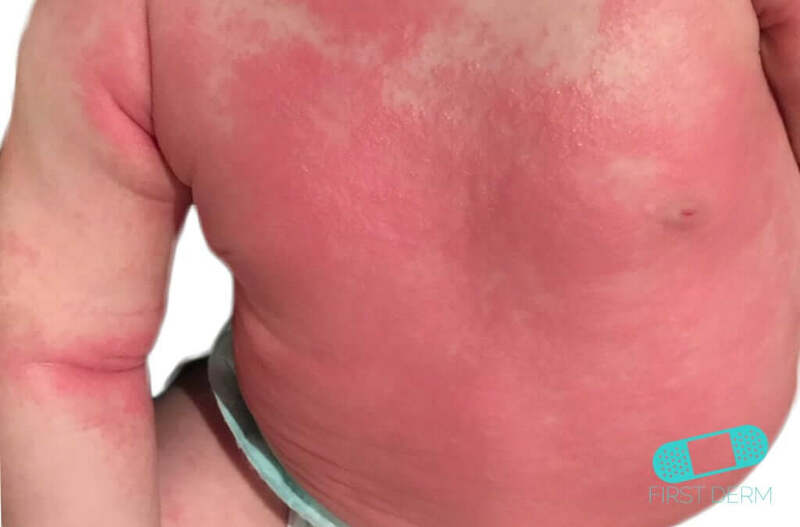 If your child is showing a tendency to develop eczema, dry the skin after bathing with gentle pats, rather than rubbing. Lubrication is important because the affected skin lacks certain fats, grease and moisture. 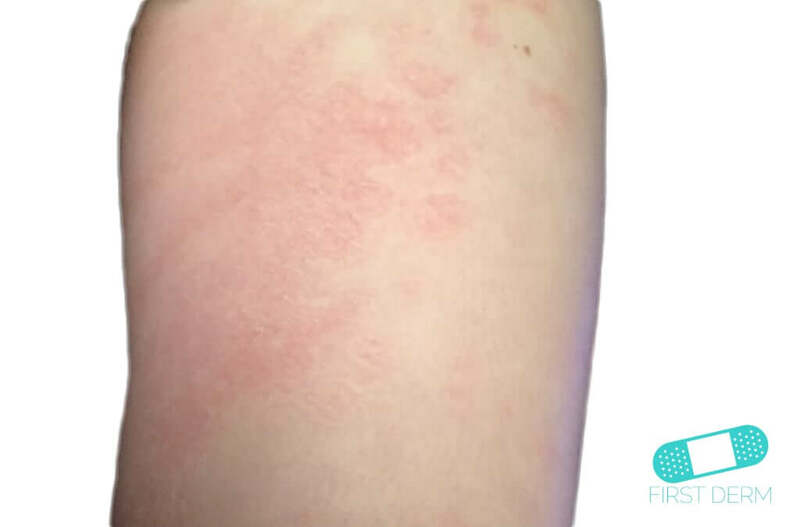 Eczema is usually not improved by any particular diet, except for small children who sometimes have a food allergy that aggravates eczema. 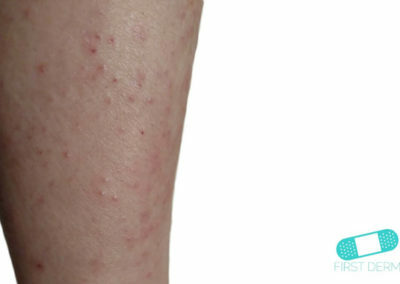 Lubricate the affected areas with unscented moisturizing cream, such as emollients and cortisone cream. Emollients are in the form of ointments, creams and lotions. 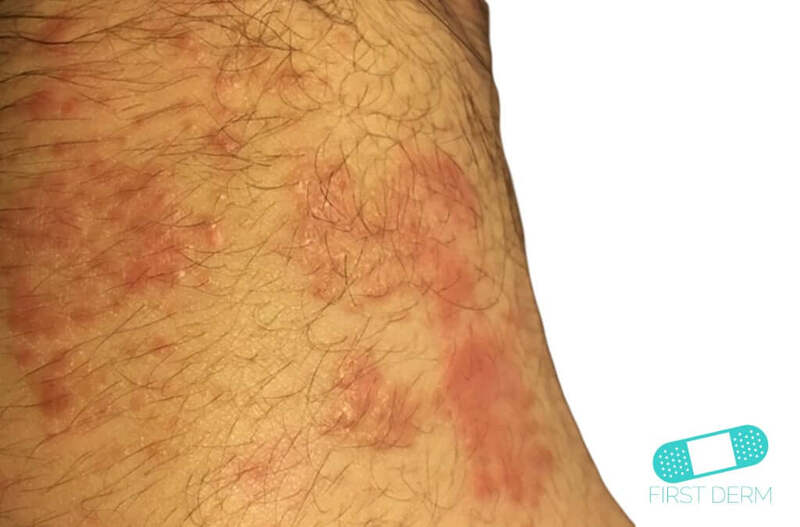 Cortisone is an anti-inflammatory drug that also reduces the itching of eczema. 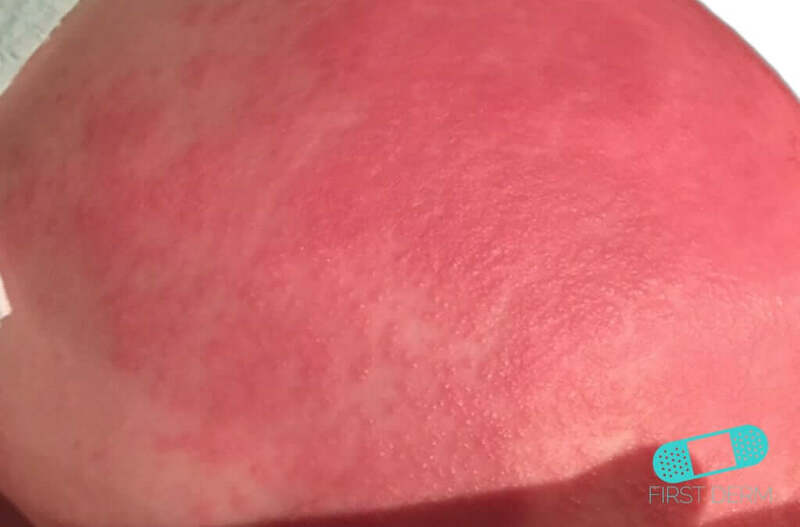 Weak hydrocortisone cream can be bought without prescription at the pharmacy. 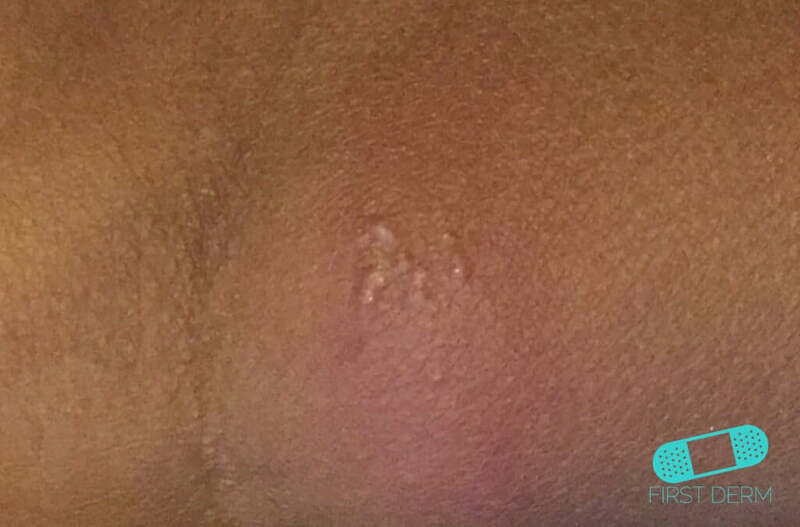 Cortisone cream should only be lubricated at the eczema, while moisturizing cream can be used all over the skin.  The best way to relieve the itch is to treat with the right creams. Specially treated silk for underwear, socks and hats can also reduce the itch. Distract your child with toys, because scratching will prompt a habitual behavior that worsens the itching. Avoid excessive washing with water and soap. 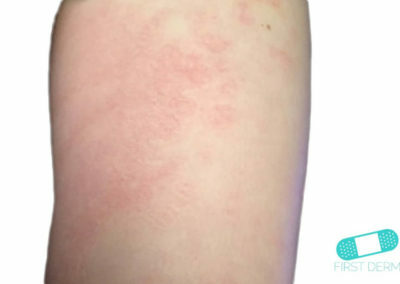 Protect the sensitive skin from excessive heat or cold. Use mild soap and unscented products designed specifically for dry and sensitive skin. Do not use excessive detergent to wash the clothes and sunbathe in moderation. Avoid wool clothing, which can cause irritation and itch, and synthetic clothing, which can make the skin feel trapped. 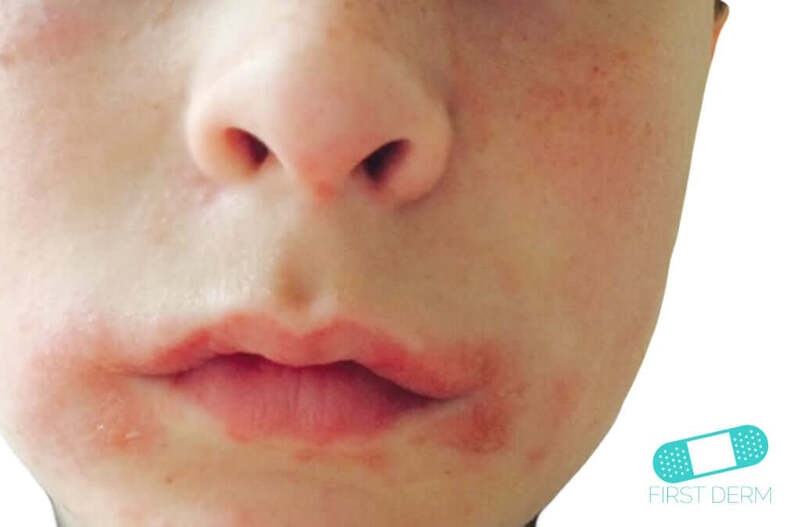 As a parent of a child with eczema, you should get good information. 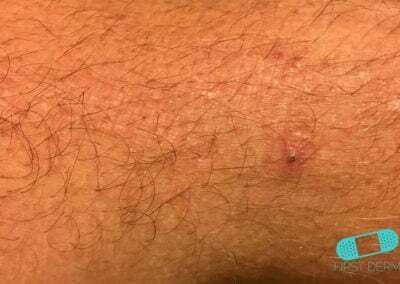 This means, among other things, knowing when to use stronger cortisone cream, how to deal with escalation to milder cream, and how to use moisturizing cream. 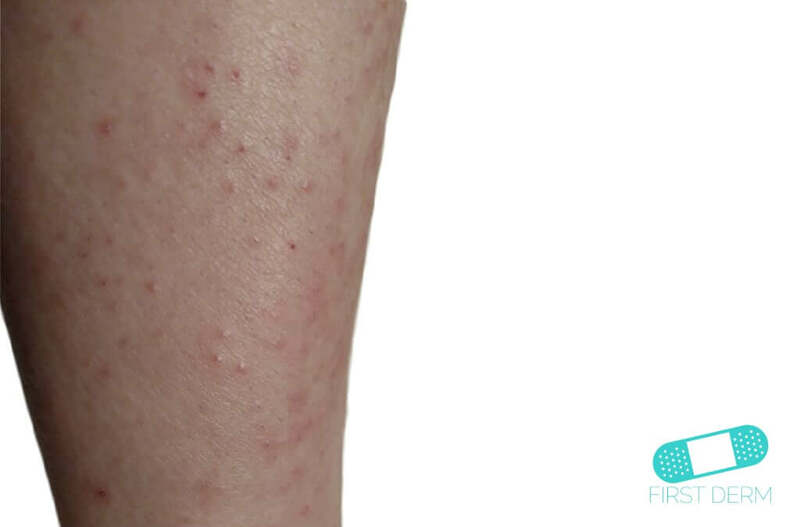 You can talk with a doctor or a dermatologist for more information. 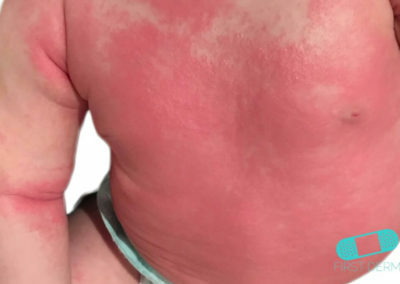 It is usually insufficient to treat the eczema your child solely with moisturizing creams and/or prescription cortisone creams that relieves the itching and reduces inflammation. 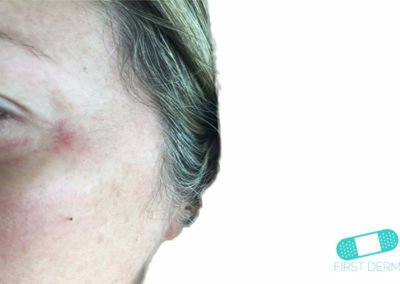 If the symptoms continue, treatment may be needed. 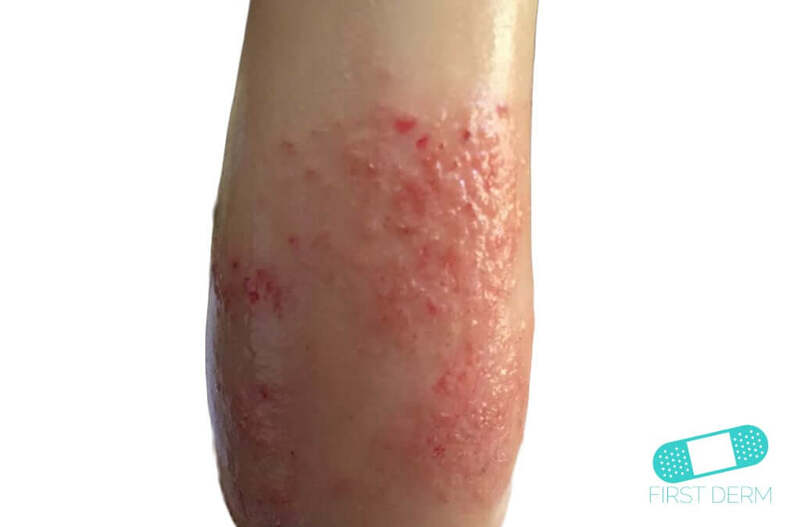 Infections with bacteria or viruses can make eczema worse. 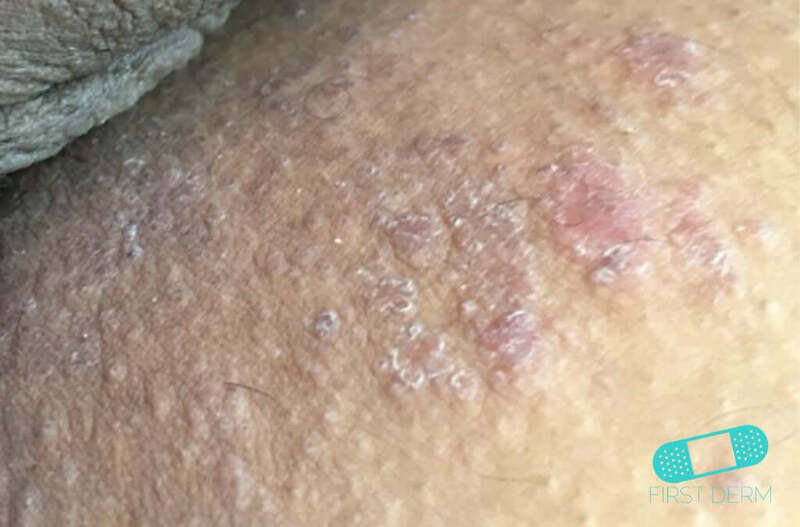 Bacterial infection (usually with Staphylococcus) makes the affected skin yellow, crusty and inflamed. 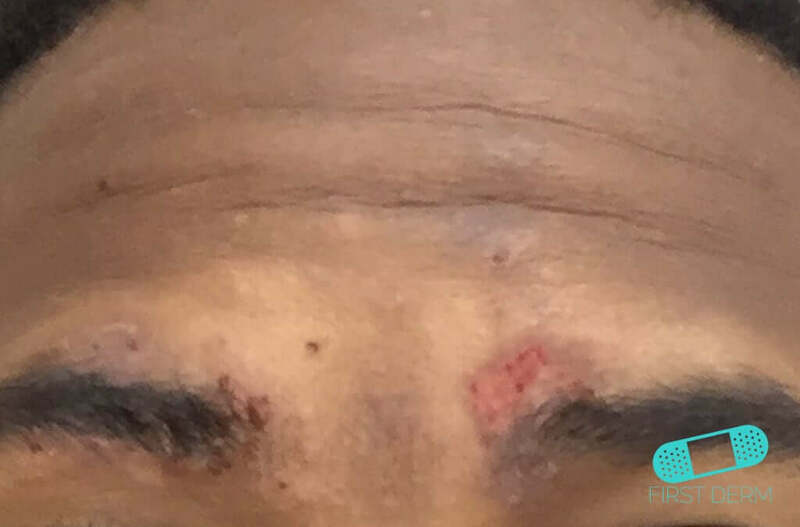 In this case, you may need specific treatment. 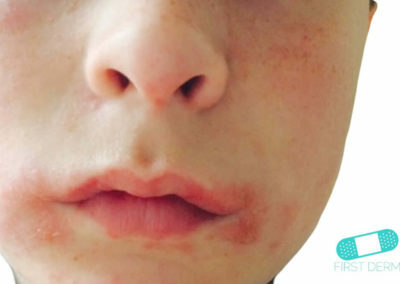 An infection with the cold sore virus (herpes simplex) can cause a sudden painful widespread (and occasionally dangerous) flare of eczema, with weeping small sores. 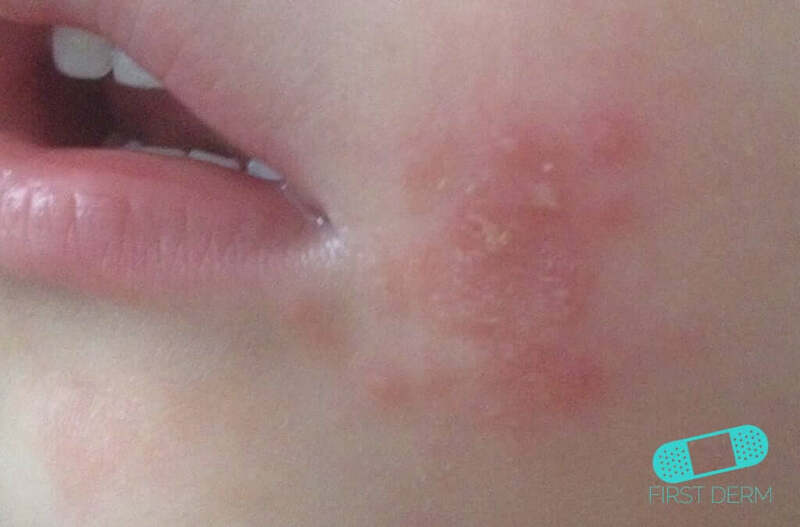 In this case, you may need treatment with oral antiviral treatment. 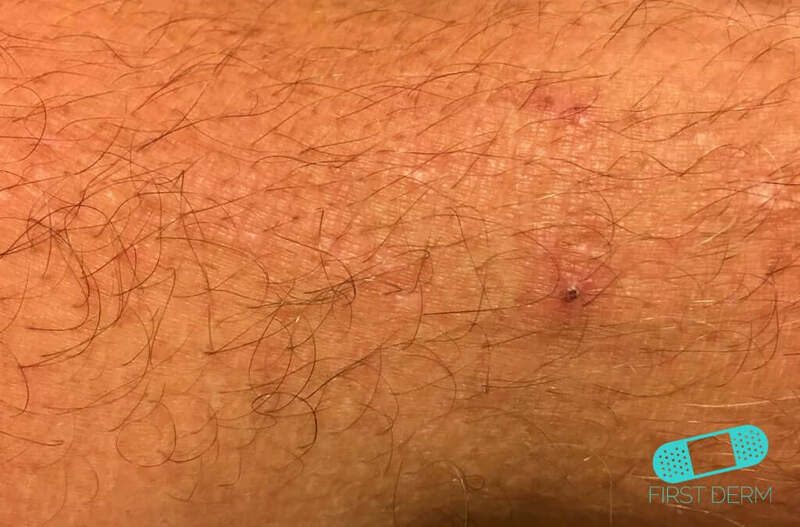 Topical steroids should not be used. 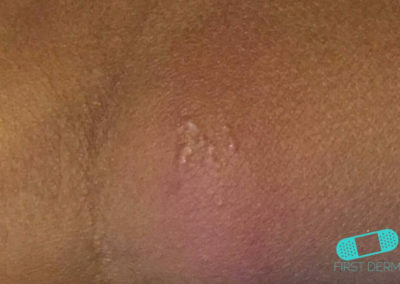 Sometimes a dermatologist will perform a patch test. This medical test is used to find allergies. 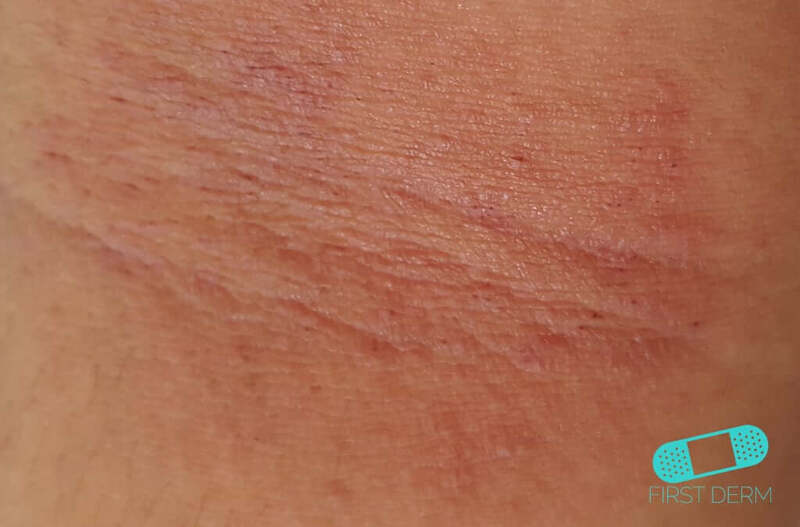 It involves placing tiny amounts of allergens (substances that cause allergies for some people) on the child’s skin. The dermatologist will check the skin for reactions. Checks are often done after a few hours, 24 hours and 72 hours. 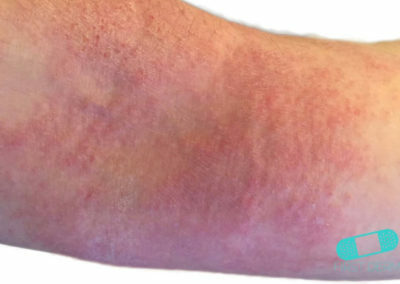 Studies suggest that some allergens can make the eczema worse. A treatment plan often includes medicine, skin care and lifestyle changes.